Distinctive Custom Built home on Bear Lake offers state of the art living in private waterfront setting . 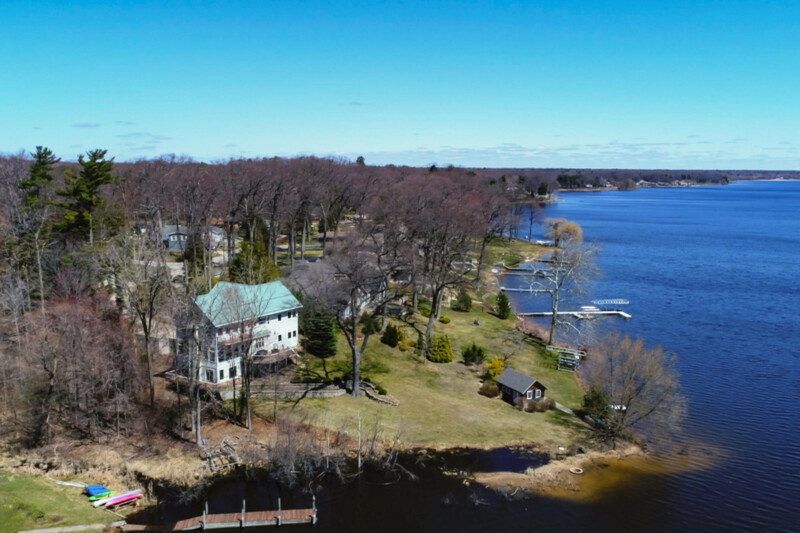 Gorgeous views from walls of light filled windows , gleaming wide plank floors , designer chef's kitchen w high end appliances , great room w fireplace , master suite w deluxe double walk in closets, balcony overlooking the lake & luxurious 6 head tiled shower . Featuring over 3000 sq ft w / 4-5 bedrooms, 3.5 baths , daylight walk out lower level w fireplace & gym/possible home theater room and extra garage . Other amenities include complete audio surround sound , radiant heated floors , maintenance free exterior materials. Bear Lake channels to Muskegon Lake & Lake MI. Near marinas, beaches, parks, winter sports complex, cross lake ferry, 50 min to Grand Rapids . Top rated schools.